Lawrence Technological University is starting its men’s and women’s varsity basketball programs from scratch this year, but the coaches will also try to draw on a tradition of excellence in the sport that dates back 80 years. During the 1940s and early 1950s, the LTU men’s team often represented Michigan in the National Association of Intercollegiate Basketball tournaments, and even made a trip to the National Invitation Tournament. In September, LTU retired and raised to the rafters of the basketball court the numbers of two players from that era, Norm Hankins and Blaine Denning. In the 1940s, LTU helped change the pace of collegiate basketball with a run-and-shoot offense that made Hankins the top scorer among major college players in 1947-48. Denning was a post player with a devastating hook shot with either hand who later played for the Harlem Globetrotters and was drafted by the Baltimore Bullets (today the Washington Wizards). That tradition gives Head Coach Tom Kempf of the men’s team and Head Coach Mary Pinkowski of the women’s team something to aim for, but right now they have to concentrate on the challenges of molding brand new teams with mostly freshman players. According to the coaches, most of the freshmen are accustomed to being top players on winning teams where they were expected to handle the ball and shoot. “Now they are being asked to be more disciplined and play within a system,” Kempf said. “Playing in college can be a humbling experience,” said Pinkowski, who noted that many of her players were also top students in high school and now face a similar adjustment in the classroom as well. 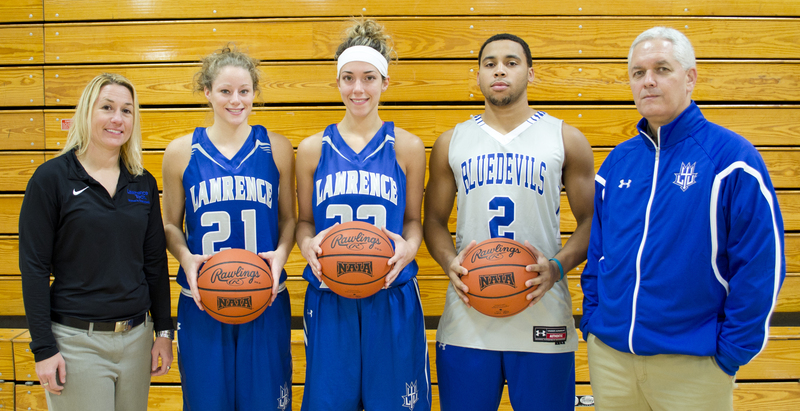 The LTU teams will play 22 of their 30 games in the Wolverine Hoosier Athletic Conference, a league that has several teams ranked nationally in the National Association of Intercollegiate Athletics. Given that the LTU men’s and women’s teams are inexperienced, the two coaches anticipate that dealing with defeat will be an important mental hurdle to clear. “They are used to being on winning teams, and this season will probably be tougher than what they’ve been through before,” Kempf said. Kempf will look for leadership from two transfer students who played at the college level last year. Guard Anthony Sisson of Lapeer, who is a co-captain, played for Mott Community College. Forward Brandon Keur of Muskegon played for Muskegon Community College. The other co-captain is freshman Jon Harden of St. Johns, MI. Two LTU students also made the men’s team as walk-ons, sophomore guard Ron Tate of Detroit and senior guard Jordan Deane of Southfield. The women’s team has some college experience at key positions. The co-captains are both juniors and post players: Jill Carland of Hartland, who played for Oakland Community College; and Jackie Hood of Lake Orion, who played for the University of Michigan-Dearborn. 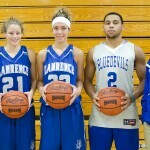 Guard Brenda Davis and forward Jenna Repichowski, both of Lansing, played for Lansing Community College last year. The new LTU basketball teams will benefit from the experience of the two head coaches. For eight years Kempf was assistant coach at Aquinas College in Grand Rapids, which won several league championships and qualified for the NAIA national tournament four times during his tenure. He also won state championships coaching both the boys’ and girls’ teams at Gabriel Richard High School in Ann Arbor. For five years Pinkowski coached the women’s varsity team at the University of Michigan-Dearborn, where she had other responsibilities. Her 2008-09 team set the UM-D record for most victories. She also coached at Webber International University in Florida for four years, taking her team to the NAIA national tournament in the 2005-06 season.